Susan Ipsarides as Vice President for Greywolf Partners Residential, oversees the daily operations for a mix of residential and commercial properties. Susan joined Greywolf in March of 2011, bringing 27 years of experience in residential property management to the team. Susan is currently overseeing the management of 850 residential units and supervising 400,000 square feet of office, industrial, and retail space.Before joining the Greywolf team, Susan was the Milwaukee Portfolio Director for Minneapolis based StuartCo for over 20 years. Susan started her real estate career with Westbrook Management supervising a portfolio of six Section 8 family and senior communities and three market rate new construction projects scattered throughout Wisconsin. She also supervised a portfolio of properties for Wellston Properties prior to joining StuartCo. Susan’s experience supervising all aspects of property operations broadens the base of experience within the growing Greywolf portfolio. Susan is an active member in the real estate community. She is currently serving on Milwaukee’s Institute of Real Estate Management (IREM) Education Committee, on the board of the Apartment Owners and Managers Association (AOMA), and a member of the Apartment Association of South Eastern WI. 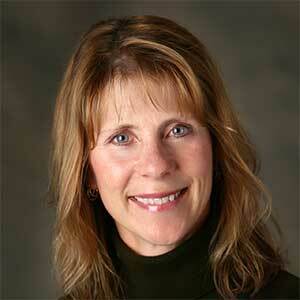 Susan is also an eight-time recipient of the IREM Chapter 13 Associate of the year. Susan, from Cedarburg, Wisconsin, is married with 2 sons. She loves attending her son’s sporting events, reading, and sunny vacations! She is also on the board of Cedarburg Wrestling Club.